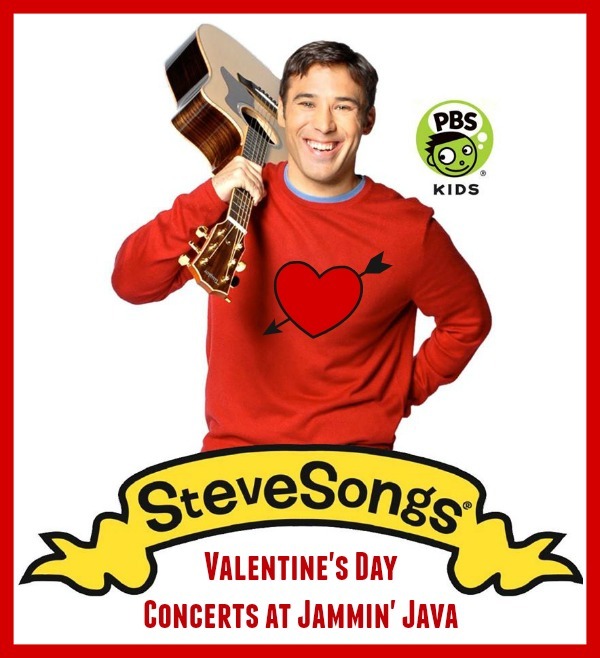 On Valentines Day, Saturday February 14, SteveSongs will play THREE seriously fun concerts at Jammin Java as part of their Tot Rock series. Choose from the 10:30am, 12:30pm or 2:30pm shows. Pick the time that works best for your nap/basketball/swim meet cuckoo crazy family schedule! SteveSongs blends smart lyrics, catchy melodies & thoughtful messages into fun participatory songs that kids & adults love. He will be performing tunes that your kids love from his PBS Kids Mornings as well as his brand new album Orangutan Van.